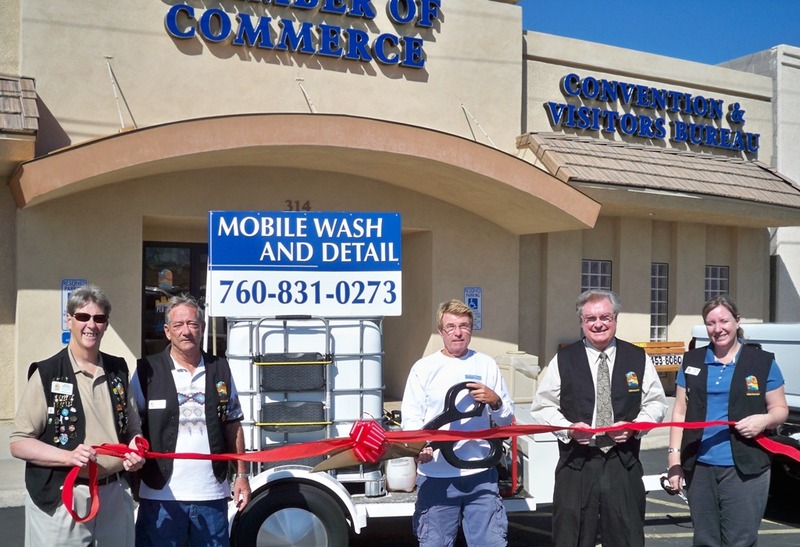 The Lake Havasu Area Chamber of Commerce Ambassadors held a ribbon cutting for Robert Anderton, owner of Robert’s Mobile Wash and Detail. The detail services vehicles of a wide variety, including but not limited to; cars, trucks, RV’s, campers, rhinos, quads as well as airplanes and service on the weekends. On hand for the ribbon cutting from left to right is Rick Broker, Paul Hoyt, Robert Anderton, owner, Adrian Farmer, and Jeanette Luhr. For more information or to schedule a vehicle detail, contact Robert at 680-5890.